Located at the crossroads of Africa, Asia and Europe, Greece is situated at the southern tip of the Balkan Peninsula in Europe. Once considered the cradle of Western civilisation, Greece is populated by over 11 million people. Athens is Greece’s largest and capital city. Popular attractions include the Acropolis in Athens and the islands of Crete and Mykonos. Get ready to explore ancient Greek ruins and idyllic islands because cheap flights to Greece are now available! Greece’s hub airport is Athens International Airport (ATH), a 40-minute drive from the centre of Athens. Discover the archaeological treasures of Ancient Greece, with influences from Asia, North Africa and Europe. The heart of philosophy, literature and art, Greece is brimming with historical landmarks and ancient relics. The Greek countryside is equally as mesmerising as its splendid beaches. Iconic olive trees hug the rocky landscapes, while the velveteen coastlines of Mykonos and Corfu are pure magic. Dine like the locals and feast on freshly-prepared dishes of traditional Mediterranean flavours. 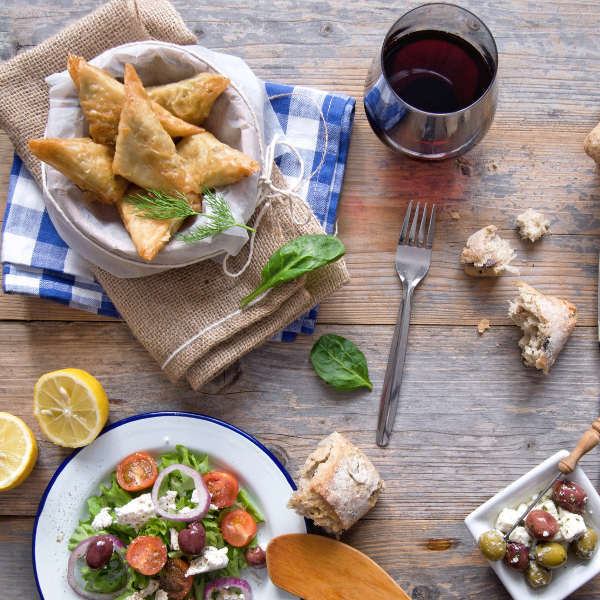 Baklava, taramasalata and moussaka are just some of the Greek delicacies best washed down with the local wine and ouzo. The best time to visit Greece is in spring (April-June) and autumn (September-November), when the wild flowers speckle the green landscapes and autumn foliage laces the cities in warm tones of amber and gold. May is the best time to explore Crete, the Cyclades, the Peloponnese and the Ionian islands. October brings a stormy spell in the mountainous areas of western Greece. 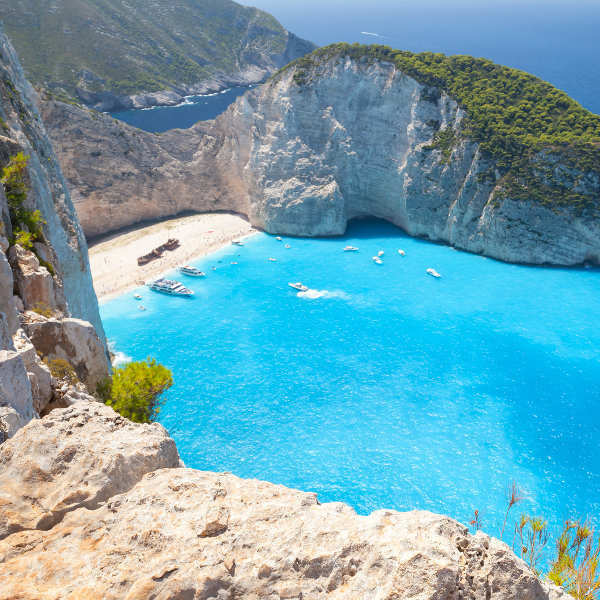 The toasty summer days (between July and August) bring throngs of tourists to the Greek islands and beaches, resulting in crowded attractions and overpriced accommodation. Be sure to buy ferry tickets beforehand, unless you plan on travelling off the beaten track. The frosty winter months of December to March bring a white blanket of snow over the mountains, while the island of Rhodes experiences pleasantly mild temperatures. While this is off-season, be prepared for reduced ferry services and limited access into mountainous villages due to snowfall. With its buttermilk beaches, turquoise coastlines, white-washed houses and Mediterranean flavours, prepare to fall in love with Greece’s romantic history and charm. While its surrounding islands are filled with character and leisure, the mainland is characterized by its history, ancient ruins and architectural landmarks. The capital city of Athens houses the famous Parthenon, Temple of Poseidon, Theatre of Dionysos, and the Acropolis and Acropolis Museum. Further up north, Thessaloniki is home to some of the most exquisite Byzantine churches and avant-garde music and entertainment scene. 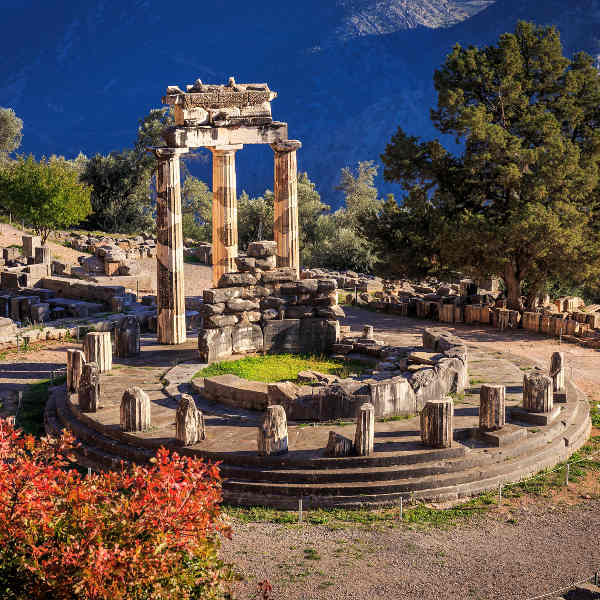 Delphi was once considered the centre of the earth, fringed by the majestic Parnassós Mountains - the site of the ancient oracle and Temple of Apollo. One of the greatest sights in Greece is, inarguably, the Metéora Monasteries, perched on the sandstone cliffs overlooking Kalambáka. The islands off Greece welcome tourists to their cobble-stoned alleyways, vibrant tavernas and breathtaking vistas of the idyllic beaches below. The popular islands of Santorini, Mykonos and Corfu are photogenic with their dramatic cliffs, Cycladic villages, olive groves and fishing boats, offering vibrant nightlife and deliciously fresh seafood. Meander through the medieval streets and ancient ruins of the Old Town of Rhodes. Crete is more than your typical Greek island – home to the Palace of Knossos and wonderful hiking trails in the Samariá Gorge, make sure this island is on your list. Compare several airlines, and book your cheap flights to Greece online at Travelstart! Greece is a very safe tourist destination and its friendly locals and stunning attractions welcome visitors all year round. As in any tourist area, be aware of petty theft and pick-pocketing. Lone travellers may fall victim to scams, particularly in the form of being invited to a bar and having to foot the bill for an entire group of strangers. Be aware of spiked drinks (known as bombes) served in clubs that are diluted with cheap, illegal imports. Visitors are prohibited from taking photos of military installations, navy ships, aircraft or even of some museums. Check with local authorities if you would like to photograph any relics and artefacts. Tap water is drinkable in most parts of Greece, although you may want to stick to bottled water on the islands and in smaller villages. Although there is no danger of contracting malaria, bring along insect repellent to ward off pesky mosquitoes. Pharmacies are well-stocked and available throughout major cities, though it is advisable to bring your own prescription medication, especially if you’re staying off the mainland. Be aware of wayward traffic, especially in the busy streets of Athens. A comprehensive travel-insurance policy to cover theft and medical expenses is highly recommended.